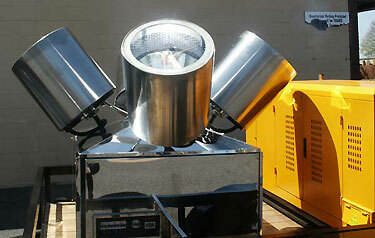 Giant 800,000,000 candlepower searchlights that can be seen up to 25 miles away, to bring attention to your event. Giant 60" advertising Searchlights, both single and double truck mounted, that brings the excitement of a "Hollywood Premiere" to your door. Searchlights generate excitement for special events. "We'll bring in the customers and you make the sale".